The KREW at the station has been working hard over the years to keep not only a GLOBAL Listener happy but also a group of Indie Dancehall and Reggae artists as well ... together they are all called family to SHYRICK. All have come together for the same quest... good fresh down to the roots vibes . We first realized there was a listener out there looking for a fresh experience and wanted to be treated with ONLY THE BEST in vibes. 1) The minute SHYRICK set up a 24/7 STREAM we became the station to go to to stream while you work or play. There's not a whole lot of talking but there's endless stream of good good vibes. 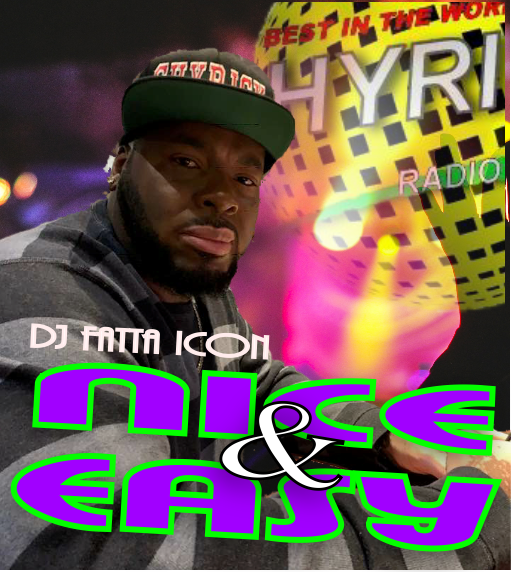 DJ Icon lays down the tracks with skill allowing for a comfortable and enjoyable experience whether you tune in for a short period or for much longer. Though there are programming ads and artist drops in the mix there's a healthy size of tracks that run in between. For us IT'S ALL ABOUT THE MUSIC . The station's advertising plan was to reach out to potential listeners and invite them to take a listen and work hard on putting together a real good listening experience for them to want to bookmark us and come back. Some of the strategies used were email blasting, article writing, networking on social sites : Facebook, What's App, Instagram, VK.com etc... and hours upon hours of research on how and where to reach out to potential listeners. The 24/7 stream was instrumental in convincing some to return and favorite SHYRICK DANCEHALL RADIO. 2) BRIGHT KOLORZ came to us as a fan and quickly became a BRAND. She is one fierce networking force that any Indie artist can hope for and through SHYRICK this lady has promotes a lot of artists. She is known for her boldness and her radiant colorful expression of self... unapologetically ! Her colorful self stops a lot of scrollers and that's the secret to this lady's success. BRIGHT KOLORZ (Rain Bright in Facebook) heads up the SHOW STOPPAZ brand. 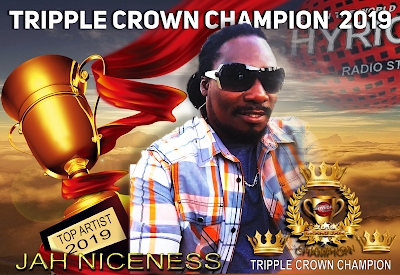 Artists who have made a sizable buzz with our Global fan base become a SHOW STOPPA and they will be contestants in the year's PARTY OF ALL PARTIES >>>GRAND JAM<<<< Search For Top Artist. 3) The GRAND JAM PLATFORM didnt start out as you know it today. Way back at the beginning the station ran a TOP TEN COUNTDOWN . Artists ran in a monthly count up to TOP track/Artist for that month. 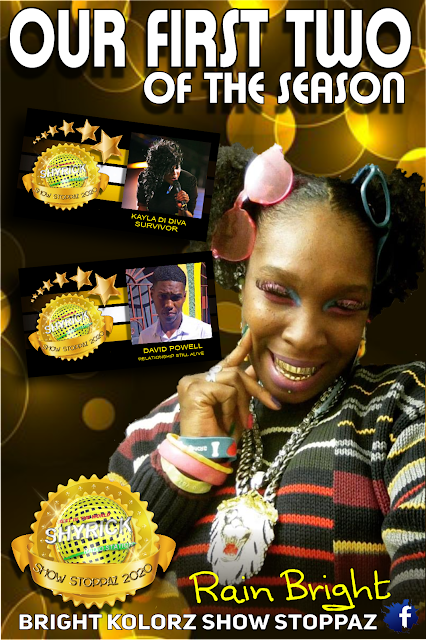 All TOP TEN Winners then ran in an end of the year race in search for TOP ARTIST OF THE YEAR. Over the years this program evolved and was refined into the current GRAND JAM Platform. This was no small scale evolution either... The GRAND JAM Platform today has morphed from the unilateral collaboration of all out platforms and a good chunk of our promotional activities. It is the station's GEM stone on the crown. Tracks are introduced to the listener on EVA FRESH NEW BLOOD... they gain recognition and momentum with our listener through our 5 Platforn Showcases and other live specials with DJ FATTA ICON. We track the momentum through social networks , listener response and program attendance to name a few. The tracks that have a buzz going become the contestants in the end of the year 6 week race to the TOP ARTIST OF THE YEAR. Attendance is excellent, well over 7000 fans showed up to vote in GRAND JAM 2019. 4) BOSSmagazine is another addition that has evolved over time. It started out as a quarterly publication of an electronic flip magazine with anywhere from 80 - 120 pages featuring our INDIE ARTISTS and their vibes. Though we did furnish a dot com address to the magazine, it was always our intent to place the publishing on our site for the benefit of both our visitors and artists combines. A means of introducing each other and facilitating link ups. It is important to note that on both sites there are POP OUT PLAYERS that are the lowest in data usage of all, and are an excellent alternative to filling your background with good vibes while you do your thing, yet very lightweight while running in the background. 6) 5 MONTHLY SHOWCASES are used as tools not only for the promotional team, but also to gain traction for an artist. 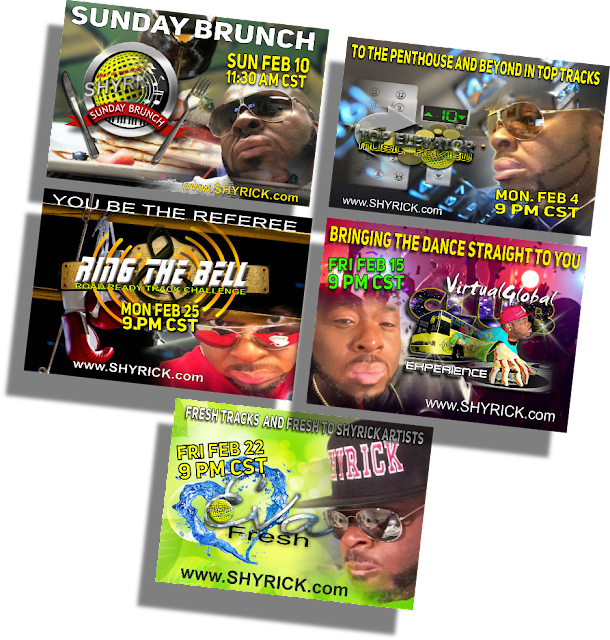 SHYRICK involves the LISTENER'S in RING THE BELL TRACK CHALLENGE. The LISTENER'S favorite tracks from that show drive the VIRTUAL GLOBAL CLUB EPERIENCE platform. New tracks drop on EVA FRESH. And the DJ throws everything down on a fun program called TOP ELEVATOR MUSIC REVIEW. DJ Icon freestyles and features ARTISTS and ALBUMS as well during live broadcasts, but it is these 5 anchors that the global audience has come familiar with and tune in consistently for. 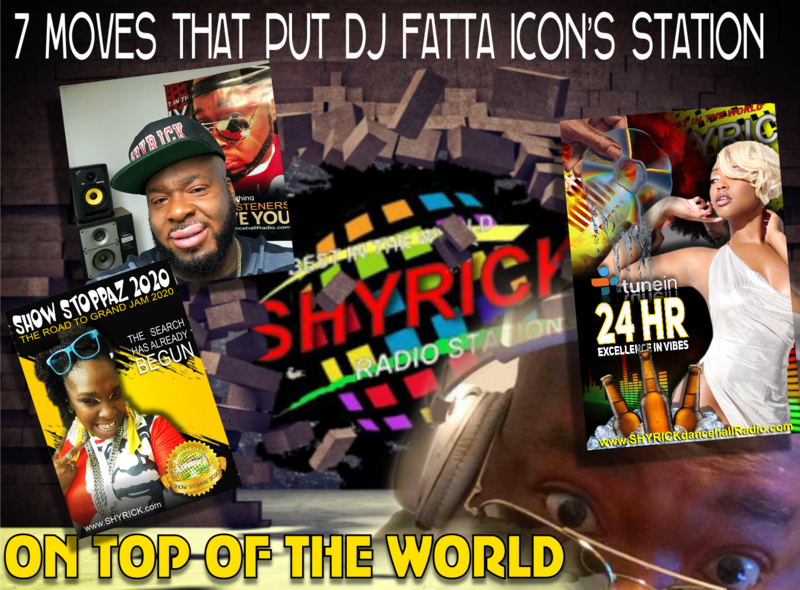 7) FINALLY SHYRICK has began to record (again) some of the specials and place them on >>>REPLAY<<< for our listeners on www.djfattaicon.com . There's a few really good shows sitting on replay like 3 hours of SAXman Jarry Johnson, or our 5 NEW TRACK REVIEW >>> HOT OR NOT<<<. We were even able to dig up a few random shows from a few years back, check out the link..
Quite a few substantial things have changed with the station over the years as we work hard to make the experience the best for our fans. But a few things will always remain the same. SHYRICK WILL ALWAYS PLAY THE BEST OF INDIE DANCEHALL AND REGGAE VIBES. It's our mission statement and what the station was built upon. and all our GLOBAL LISTENERS who come daily to listen to the best. Thank you family .